Glenn Ferguson is the Managing Director of FC Lawyers. He is a Solicitor of the High Court of Australia and the Supreme Court of Queensland. An experienced lawyer, he has acted in complex disputes and transactions for a range of clients both nationally and internationally. He is also an Accredited Specialist and Registered Migration Agent acting for Business, Corporates and Individuals. He is a Past President of the Law Council of Australia, the peak national body which represents the legal profession nationally and internationally, Past President of LAWASIA, the Law association for Asia and the Pacific and a Past President of the Queensland Law Society. He is also a Senior Counsellor with the Queensland Law Society and an Adjunct Professor of Law at the University of the Sunshine Coast. He is a Founding Fellow of the Australian Academy of Law, a Fellow of the Australian Institute of Company Directors and a Fellow of the Australia and New Zealand College of Notaries. He is Chair of WorkCover Queensland and Lexon Insurance, a Governor of the College of Law, member of the Federal Attorney Generals International Legal Services Advisory Council and the Immigration Ministers Advisory Board in relation to the regulation of migration agents. The Queensland Premier selected him in 2004 to Chair Smart Exports Queensland. He has been appointed by both Federal and State Governments to various advisory boards and task forces in the legal, migration and business sectors. Glenn has also held or continues to hold a number of board positions in both the public and private sector in the insurance, superannuation, education, sport, charity and information technology areas including chairing a publicly listed company. He is often sought as a speaker in relation to Corporate Governance issues both nationally and internationally. 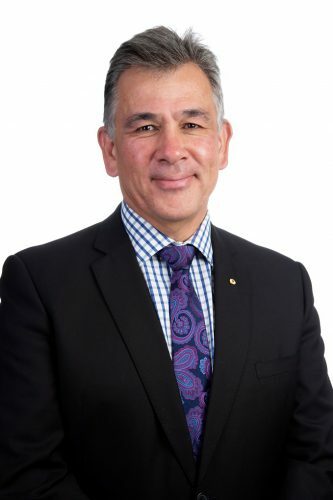 In 2010 he was appointed by the Prime Minister to the Expert Panel to consider the recognition of Aboriginal and Torres Strait Islanders in the Constitution. The report was delivered in January 2012 and he continues as a member of a Reference Group appointed by the Minister to continue the push for constitutional recognition. In the 2015 Australia Day Honours, Glenn was made a Member of the Order of Australia “For significant service to the law and to the legal profession, both nationally and in the Asia-Pacific region, and to the community”.